Alongside the wedding dress, the honeymoon, and the venue the drinks bill for many weddings can be one of the greatest expenses. Whether the wedding venue are providing the catering or you have found yourself a private catering firm, the majority of providers will be able to offer you some form of drinks package. Or you might choose to save a little money by getting into your car and hopping across the channel for some cheap plonk to use on your wedding tables. If you choose this option you should check with the catering company whether they charge a corkage fee. An even cheaper option you might like to consider would be brewing the wine yourself. I know what your thinking, you haven't got time to mess around in the garden shed with demijohns as you are trying to plan a wedding after all. Well that's absolutely fine as todays homebrew kits cater for those who have little time on their hands but enjoy the pleasure of drinking good wine. Like with most things you get what you pay for, homebrew kits are no different. If you are after an easily drinkable wine but are impatient then perhaps a white, rose or red kit which can be made in only a week would be an ideal solution. However if you have a little more patience and are willing to part with a little more cash you will be rewarded with a wine that is not only excellent value for money but also of a high quality. 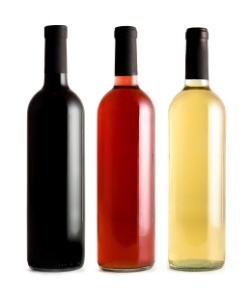 Whether its red, white or rose you prefer to drink you can make it from a homebrew kit. There are countless varieties of kit to suit the palette. Why not buy a few kits that you like the description of and make them up a few months in advance. Once made invite your friends round for a wine tasting evening. You could combine this with your Hen or Stag party. Ask your friends to help choose which wines you should then make for your wedding day. Why not create drinks which are befitting of the season. If you are planning a summer wedding then add a twist to your homebrew wine by creating your own sangria or white wine spritzer, guests will love their refreshing taste on a hot summer day. Apples are in abundance during the autumn months, if your wedding has an autumnal theme then apple wine would be a perfect compliment. If you are planning a late autumn or winter wedding, mulled wine would be the ideal drink to warm your guests. Homebrew doesn't have to be used as a substitute for the bar rather it allows you the opportunity to tickle the taste buds of your guests with something personal from the bride and groom. Why not personalise your alcoholic beverages further by designing your own labels to fit nicely with your wedding theme.